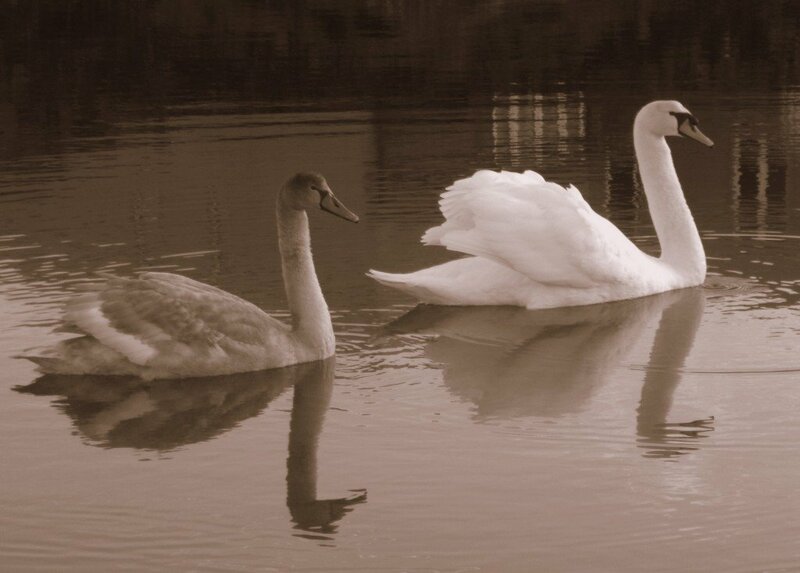 Crisp October days bring back memories of swans. Each and every autumn flocks of wild swans arrive in Ireland, to escape the harsh winters of their northerly, summer homes. 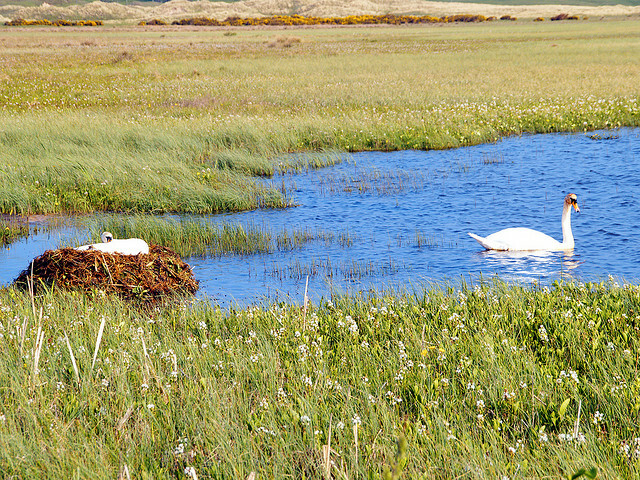 Swans inhabit America as well as Ireland, so why do I miss Irish swans? The answer lies in their numbers. You never know where you may spot wild swans in Ireland, especially in the autumn and winter months! 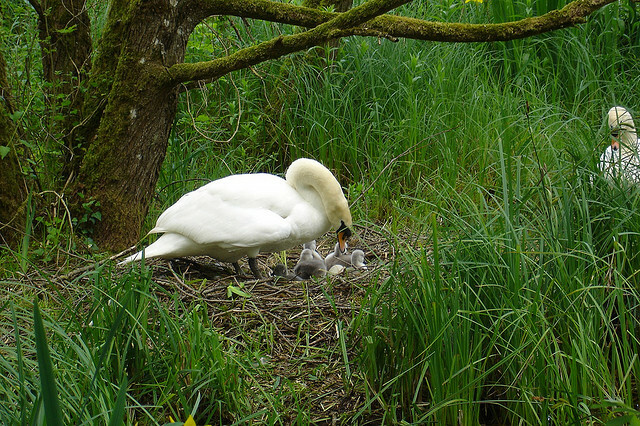 Ireland’s rivers and canals are filled with mute swans, her year-round residents. 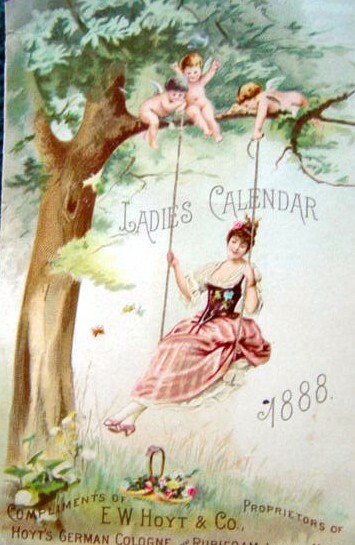 Swan numbers grow exponentially in autumn upon the arrival of wild swans from colder, northern climes. Ireland’s swan visitors arrive from Russia and Iceland. The loud, bugling calls of whooper swans echo through the air, amongst the rushes and reeds of Ireland’s numerous lakes. 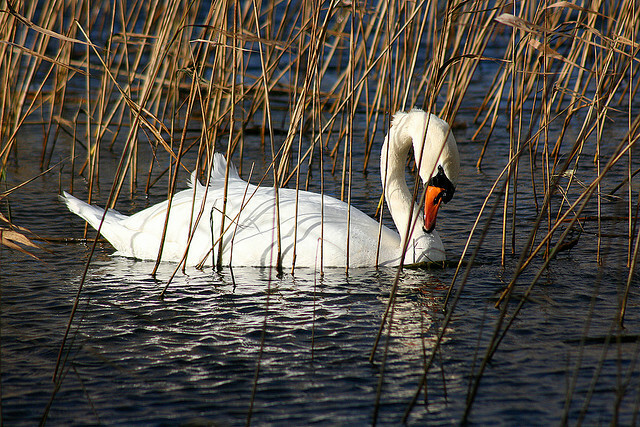 Wild swans love lonely enclaves, on secluded lakes and waterways. 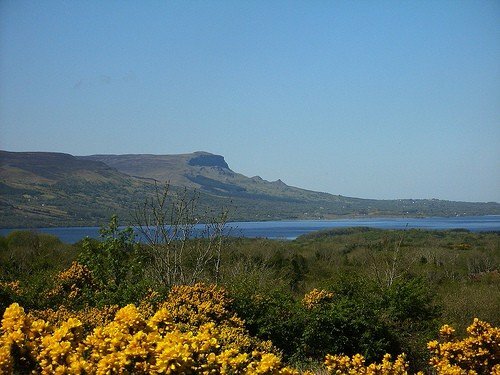 The western counties of Ireland boast many perfect spots for these shy, wild birds. 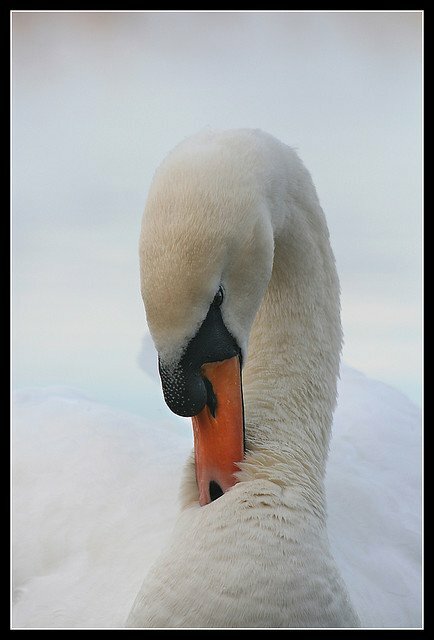 Swans are without doubt, the most beautiful of all waterfowl. Gracefully curved long necks, accentuate pure white plumage on their large contoured bodies. Despite a distinctive big-footed waddle on land, the moment they slide into water, their majestic surface glide is mesmerizing. Swans are famous for forming mongamous bonds that last for years or sometimes life. Both male and female work together, helping build their nest on ground near water’s edge. 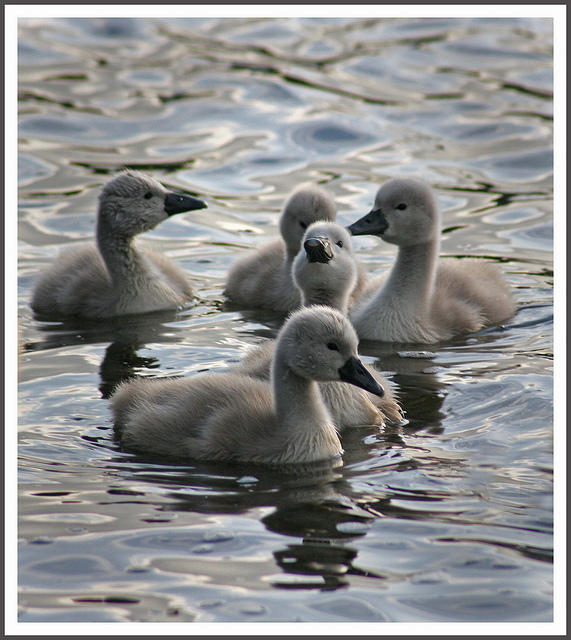 How swan cygnets were ever called ugly ducklings amazes me! Unlike their fowl cousins (chickens, ducks and geese), swans have been spared a kitchen table fate. Swans are revered in Ireland and the answer to why they avoided our dinner menu, may lie in Irish mythology. 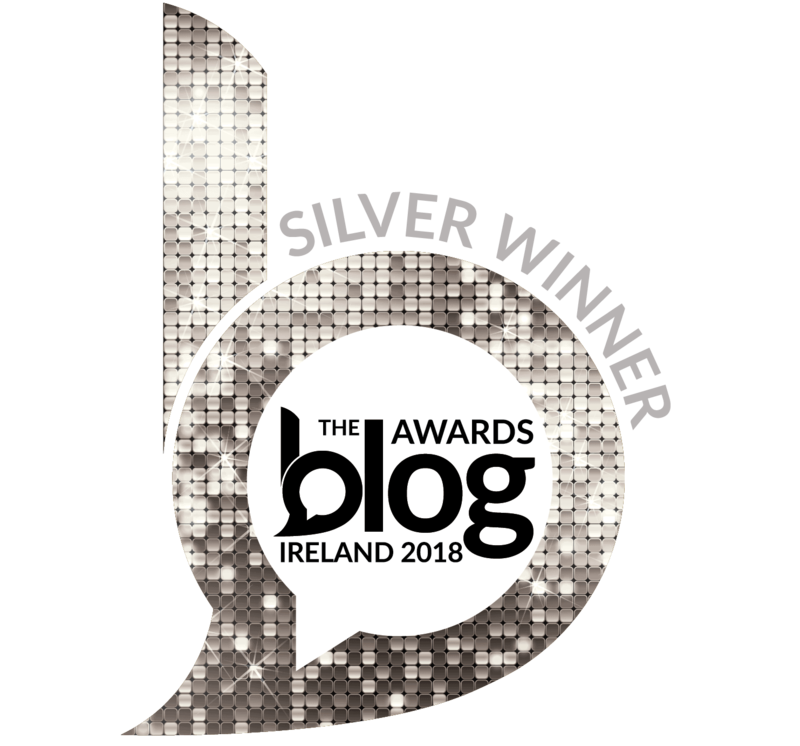 An ancient Irish tale tells the story of the Children of Lir. 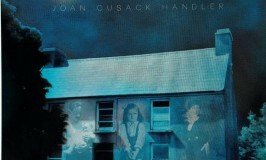 His daughter Finnoula, and three sons, Fiachra, Aodh, and Conn, were turned into swans by their evil stepmother. 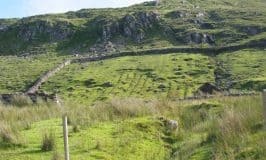 They spent 300 years on Lough Derravarra, 300 more years on Inishglora and finally 300 years in exile on the Sea of Moyle. Nobody in Ireland would dream of harming one of these poor children. 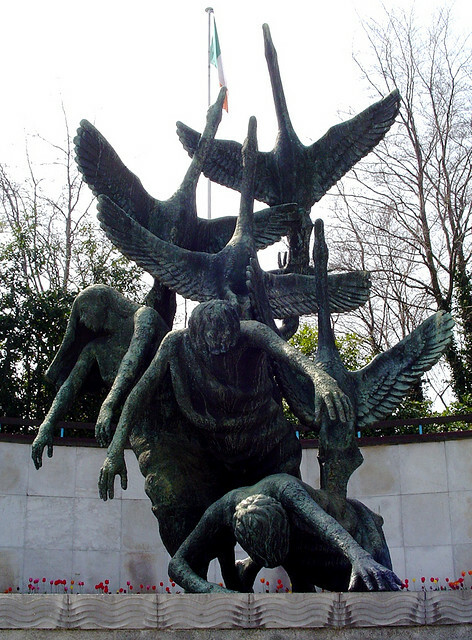 Below is a sculpture of the famous mythical quartet in the Garden of Remembrance in Dublin. I ate my lunch beside them many afternoons, when I worked at the Mater Hospital in Dublin. 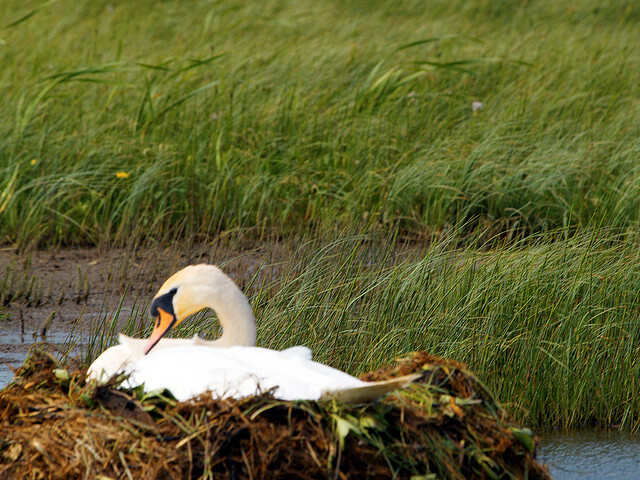 In England swans were once hunted to such an extent, they came close to extinction. Therefore. they were declared property of the crown. 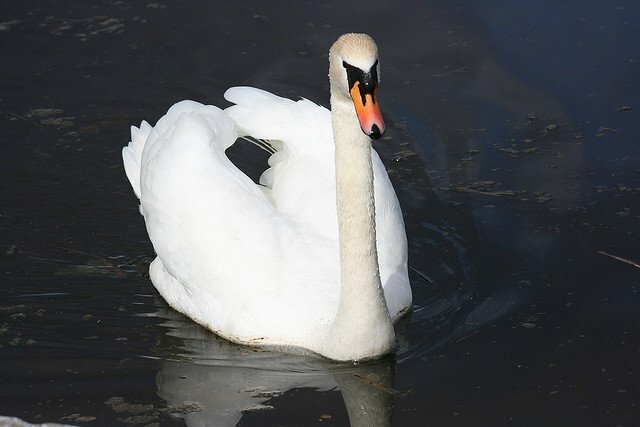 As sovereign property, killing a swan may warrant an archaic punishment. 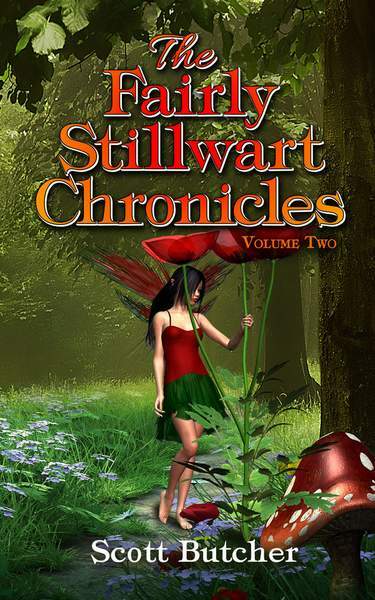 Nobody wants to be locked up in the Tower, or worse!!!! And so, in parting I leave you with a few more lines from Yeats, to turn your thoughts towards swans. My swans are in Ireland. Hopefully one day I will visit in fall or winter, to see all of Ireland’s migratory and permanent resident swans. Nicely written, am in Galway and a flock of whooper swans just passed overhead, bugling away, its just into November and the clocks have gone back & weather is getting colder so there will be lots around, one of my favourite sights & sounds of this season, some seals paid a visit to the Claddagh here a few days ago, nice to see them as well! 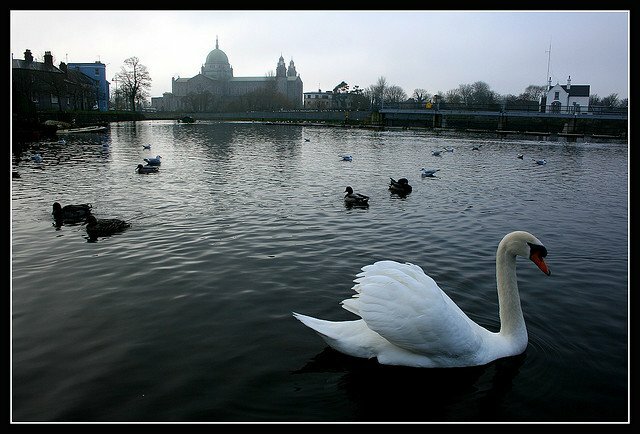 Hi Sean – Galway is always home to so may swans during the winter months. Cold November days will soon bring them in flocks to Ireland’s shores. I’m not sure if I should say a “flock of swans.” I looked it up and found many answers, including a bevy of swans, a whiteness of swans, and a wedge of swans. I wonder which term would be used in Ireland?